11 September marks the anniversary of the foundation of the World Wildlife Fund as a charitable trust in 1961. The organization was initiated by Julian Huxley and Max Nicholson in order to protect the most endangered species on the planet. The mission of the World Wildlife Fund for Nature (as the organization became in 1986) is also to protect natural resources and encourage the reduction of pollution and wasteful consumption. More pictures of Pandas can be found here. 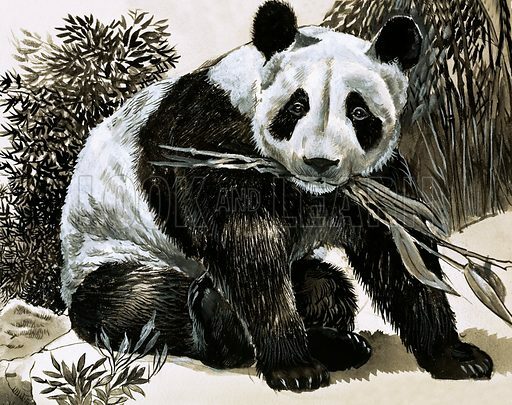 Many more illustrations of animals from around the world can be found at the Look and Learn picture library. 11 September marks the anniversary of the death of Italian astronomer Giovanni Domenico Cassini in 1712. Born in Perinaldo, Italy, in 1625, Cassini was a professor of astronomy at the university of Bologna and, in 1671, became director of the Paris Observatory. Over a period of years, Cassini observed four moons of Saturn: Iapetus in 1671, Rhea in 1672, Tethys and Dione (both in 1684). Cassini also discovered the gap between the rings of Saturn that now carry his name. 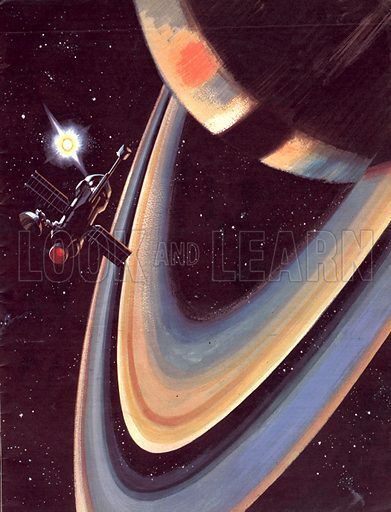 Many more pictures relating to the history of astronomy can be found at the Look and Learn picture library. 9 September marks the anniversary of the birth of Leo Tolstoy in 1828. Count Lyev Nikolayevich Tolstoy was born into Russian nobility and was an unhappy student at university, leaving part way through his studies. He ran up large gambling debts and joined the army, around which time he began writing. Tolstoy’s major works were War and Peace and Anna Karenina, famous for their breadth of scope and realistic depiction of life in Russia. More pictures of Leo Tolstoy can be found here. Many more illustrations relating to authors and literature can be found at the Look and Learn picture library. 9 September marks the anniversary of the Coronation of Mary, Queen of Scots, in 1543. She was the only surviving legitimate child of King James V and was only six days old when her father died. She was crowned nine months later. Mary’s life was a series of tragedies. She married the Dauphin of France in 1558 but was widowed in 1560; her second marriage to Lord Darnley (in 1565) ended when her husband was murdered; she then married the Earl of Bothwell, a suspect for Darnley’s murder, and popular feeling turned against her. 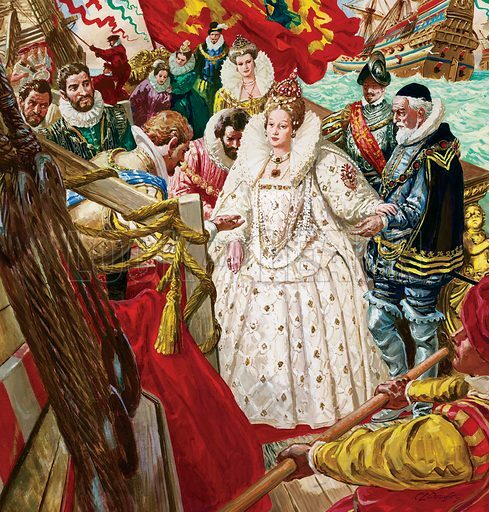 She was forced to abdicate and spent some time imprisoned before escaping to England where she was perceived as a threat to Queen, Elizabeth I, and spent 19 years in custody, eventually being executed in 1587 for treason over her involvement in plots against Elizabeth. More pictures relating to Mary, Queen of Scots, can be found here. 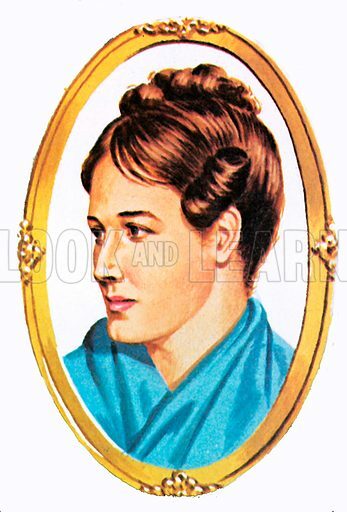 Many more illustrations featuring royalty can be found at the Look and Learn picture library. 8 September marks the anniversary of the birth of poet Siegfried Sassoon in 1886. Born in Matfield, Kent, Sassoon went to Cambridge University to study law and history but dropped out before completing his degree. Instead, he began publishing volumes of poetry. Sassoon volunteered for the Army at the outbreak of World War I, but a riding accident meant that he saw no action until 1915. The death of his brother Hamo, killed during the Gallipoli campaign, and his own experiences in the trenches profoundly affected Sassoon’s outlook and poetry. 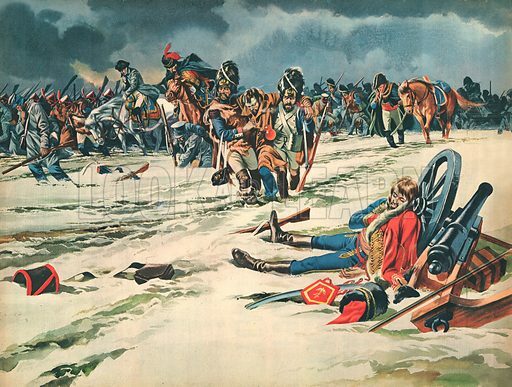 Although he was awarded a Military Cross for bravery, he also stood up in defiance of military authority and, at one point, refused to continue fighting. He continued to write poetry and novels until his death in 1967. 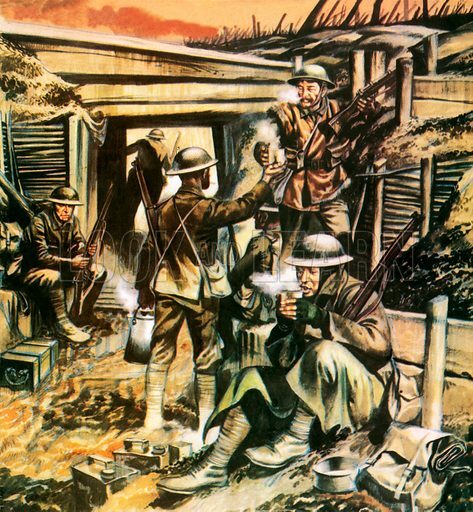 Many more pictures relating to World War I can be found at the Look and Learn picture library. 8 September marks the anniversary of the first football league matches played in England in 1888. Prior to that, football had been more of a free-for-all than a legitimate game, often involving many dozens of players and no structure or rules other than to get the ball to a predetermined goal. 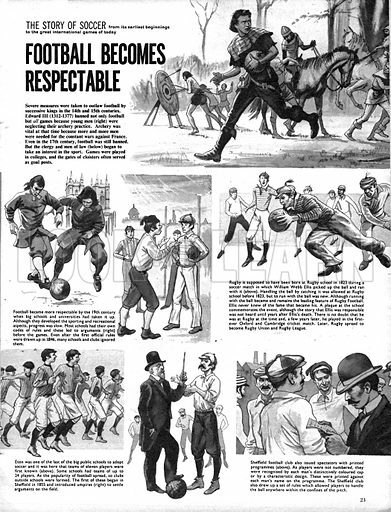 The drawing up of a set of rules in 1862 and the creation of the Football Association in 1863 helped formalize the game’s structure, but it was over 20 years before the F.A. created a league of teams who would play a schedule of games. The original 12 teams were: Accrington, Aston Villa, Blackburn Rovers, Bolton Wanderers, Burnley, Derby County, Everton, Notts County, Preston North End, Stoke F.C., West Bromwich Albion and Wolverhampton Wanderers. More pictures relating to football can be found here. The Look and Learn picture library also has a wide-ranging history of the game entitled The Story of Soccer available. 7 September marks the anniversary of the birth of Queen Elizabeth I in 1533. Her lineage to the throne was through her father, Henry VIII, but as she was the daughter of Anne Boleyn (declared a traitor by her husband and beheaded), she was deemed illegitimate and her brother, Edward became King, followed by Lady Jane Grey (for a mere nine days) and Mary I. Elizabeth became queen in 1558 following Mary’s death. More pictures relating to Elizabeth I and her reign can be found here. A great many more illustrations relating to British royalty can be found at the Look and Learn picture library. 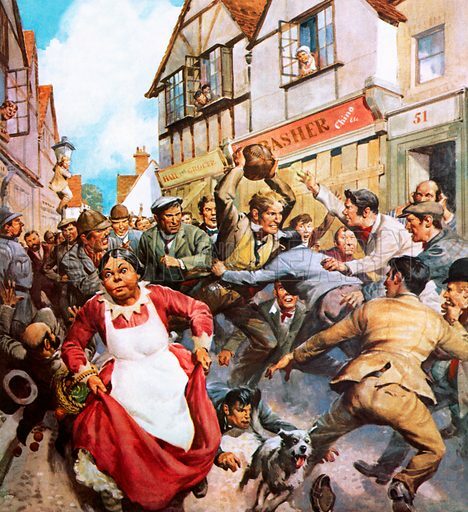 7 September marks the anniversary of an act of heroism that took place in 1838. Grace Horsley Darling was the daughter of William Darling, a lighthouse keeper. Born in 1815 in Bamburgh, Northumberland, she grew up in Brownsman and Longstone lighthouses. In 1838, Grace looked out from a window at Longstone Lighthouse and saw the SS Forfarshire foundering on a rock, the ship split in two. Realising that the seas were too rough to launch a lifeboat, she and her father used a rowing boat to rescue 13 people from the waters. 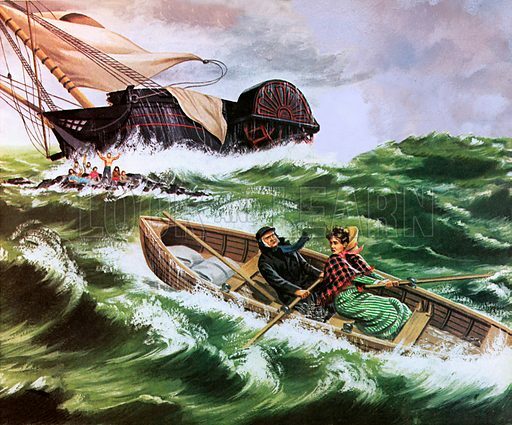 More pictures of Grace Darling and her daring rescue can be found here. 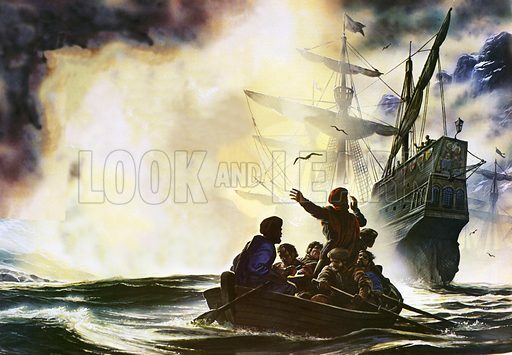 Many more illustrations featuring acts of heroism can be found at the Look and Learn picture library. 6 September marks the anniversary of the first circumnavigation of the globe in 1522. The five-strong fleet of ships commanded by Ferdinand Magellan had set out from Spain in 1519 in order to find a route west to Asia. 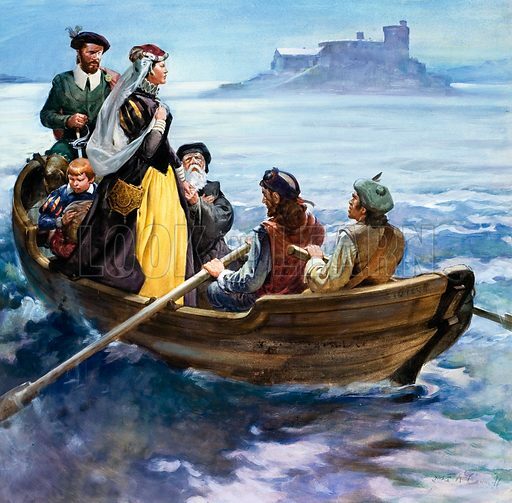 Only three found their way to the Pacific, via what is now known as the Strait of Magellan. Magellan himself was killed in the Philippines and one of the ships was abandoned. The last two ships headed west but the Trinidad began taking on water, leaving the Vittoria (Victory) to continue the journey. Only 18 of the original 265 crew survived the voyage. More pictures relating to Ferdinand Magellan can be found here. Many more images relating to the circumnavigation of the globe can be found at the Look and Learn picture library. 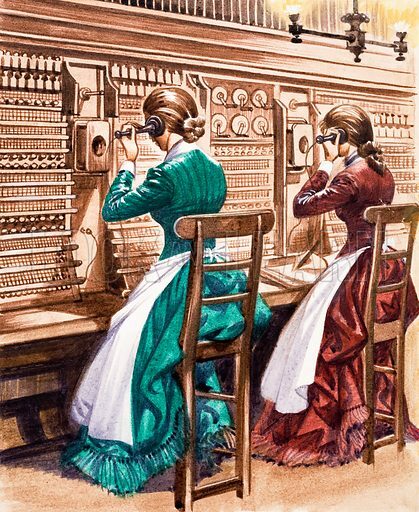 6 September marks the anniversary of the opening of the first telephone exchange in Britain in 1879. The first commercial exchange had opened in New Haven, Connecticut, in January 1878, but could only handle two simultaneous conversations. The common design established over the next eighteen months was the plug board, with an operator using jack to plug in a connecting cord. The first British exchange was opened in Lombard Street, London. Many more pictures relating to telephones and telephone exchanges can be found at the Look and Learn picture library.